This Email Extractor Software is an innovative development to perform the conversion of several email files at once in bulk. The tool can also migrate Contacts, Calanders, Tasks, etc. into multiple file formats. Convert Emails along with other items like Notes, Tasks, etc. Email Extractor Utility is designed to convert different files of multiple applications such as Outlook, Exchange database, MBOX files into multiple formats. It migrate the emails along with contacts, tasks, calendars, notes, etc. This application supports all the versions Windows Operating system. 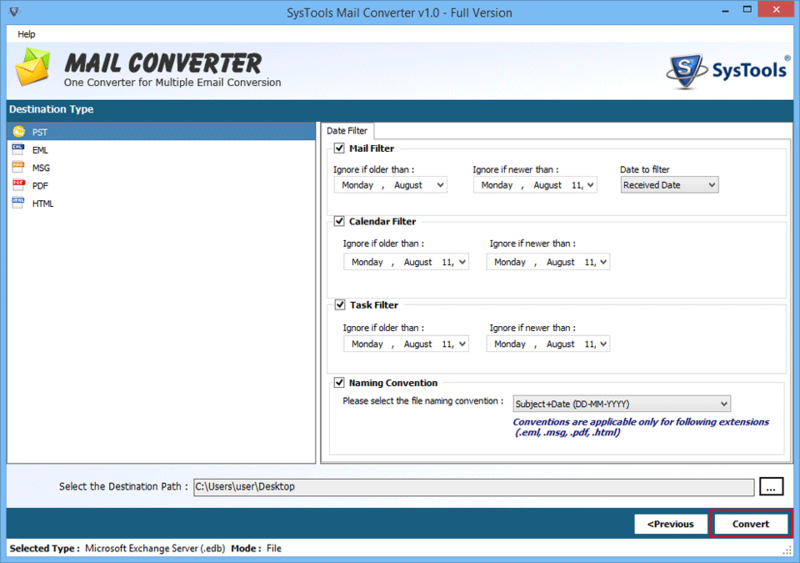 This Mail Converter software first scans the files and then loads the chosen files or folders. It displays entire items or folders present in it. In fact, with this facility, users can check the folders/items that they wish to convert. Therefore, selective conversion of the data from multiple email applications is possible. Date (YYYY-MM-DD) + From + Subject etc. Task Filter: Similarly, with this user can convert task items older/newer than a particular date. Mail Filters: It is easy to convert emails of specific date. Users can set the date according to sent/received date. 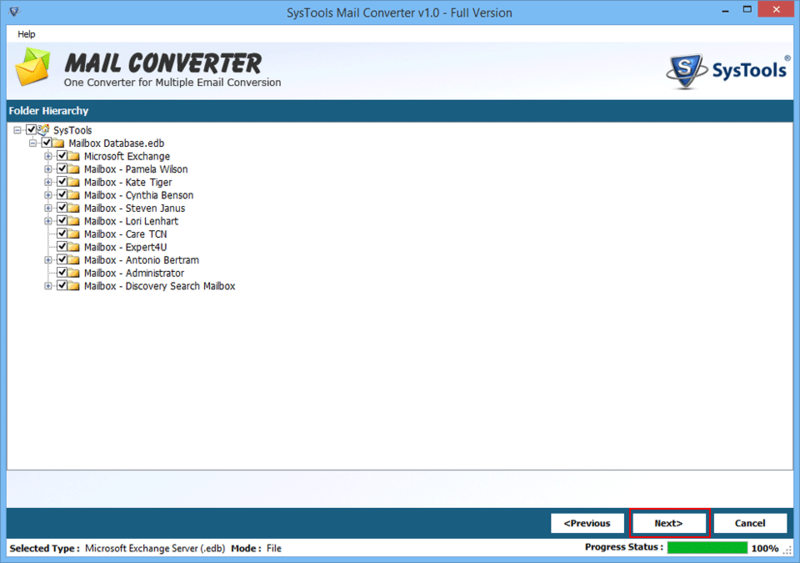 Mail Converter Software scans all the chosen files and does not makes any change in the structure of the folder. 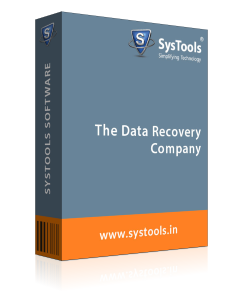 Moreover, on-disk as well as original structure of the folders of all the files are maintained even after the completion of the conversion process. It ensures the safety and security of the data. 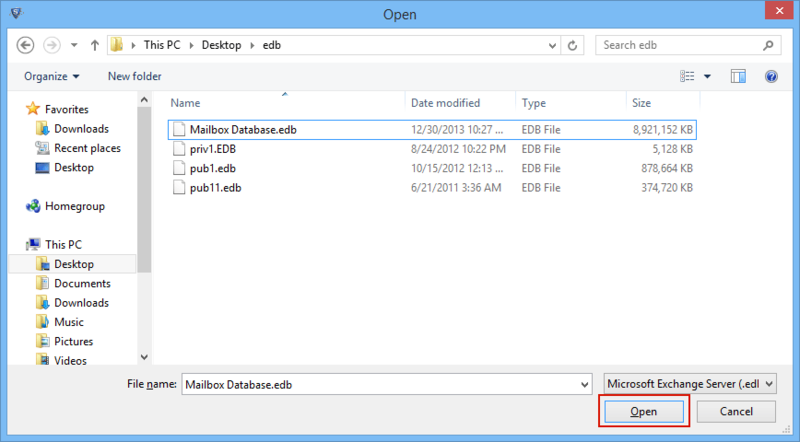 One of the common problems a user may face at the time is, transferring mailbox data in batch. However, with this tool it is so simple to convert all email items in bulk. Users need to choose the folder or folders they want to export and can easily move the data at once. There is no need to select one file after the other. How to Convert Mail into Multiple Format? Q. Does Mail Converter software convert the email of a particular date range? Ans: Yes, with the help of email filter, users can easily export the selective emails falling under a specific date range. Q. Can I access the tool in Windows Version 10? “There are so many systems in my company and I have Windows version 10 in all of them. Now, I need to use the software to import files from one to another format. However, I am not sure whether I can access the utility in Windows 10 or not?" Ans: Yes, Email Converter Tool is designed in a way that it is compatible with all the versions of Windows Operating system like Windows 10, Windows 8.1, Windows 8, Windows 7, Windows Vista, and all below versions. Q. Does this product is capable to convert damaged mailbox items? Ans: No, the corrupted or damaged mailbox cannot be converted using Mail Converter tool. Q. 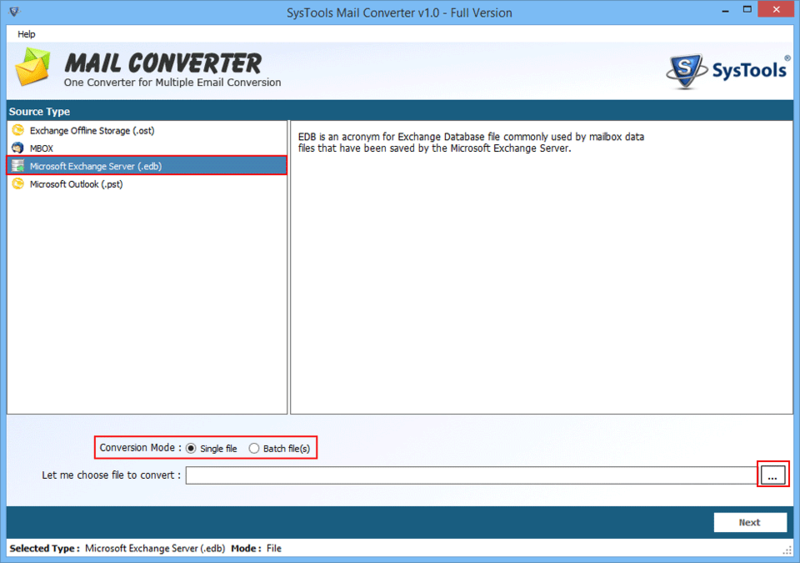 Does Email Extractor software need any email client in the system for the email conversion? Ans: No, users do not require the environment for the accomplishment of the conversion process. Conversion from one to another platform is always been a tough task for me. 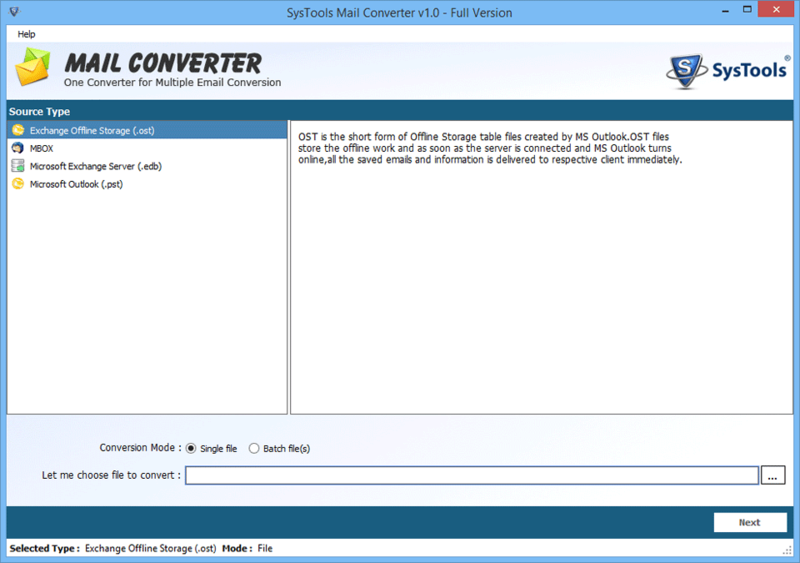 I always need my brother by my side while performing migration, but from the day I have came across Mail Converter Tool it has become an easy task for me. Yes really, this software helps me a lot and I have converted some of my essential folders using this tool. The software really deserves praise and applauds. I was tensed that how to find out the emails from a particular date range to perform the conversion. Then, I used this software and with its filter options, I have completed the task of migration in almost no time. One thing I really liked about the software is its user-friendly interface. I would like to recommend Email Converter utility to all the users and want to pay my regards to the whole team of developers.